If you are heading to San Francisco for the APSA annual meeting, be sure to stop by booth #500 to meet our staff, browse our latest publications, and and take advantage of special meeting discounts. 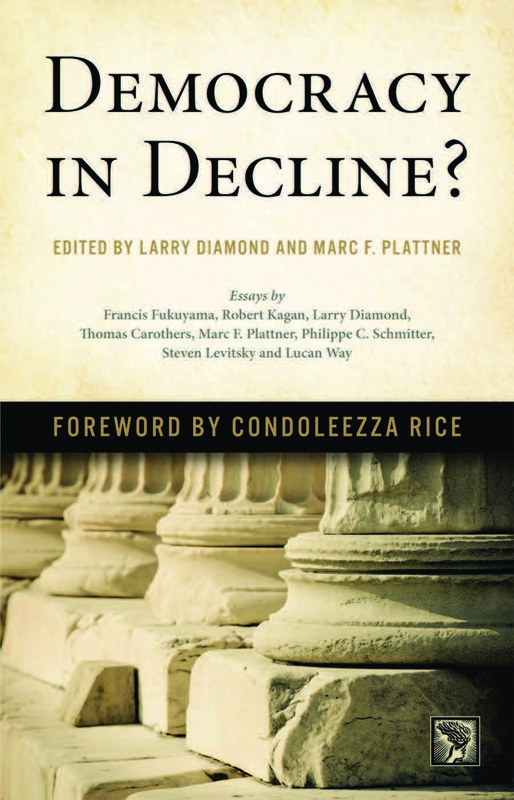 On Thursday, September 3 at 3:45 p.m., we’ll host an APSA reception at the booth to toast the publication of Democracy in Decline?, edited by Larry Diamond and Marc F. Plattner. This title will be available at the special APSA meeting price of $15.00 for on-site sales (while copies last). Throughout the meeting and after, JHUP books will be available at a 30% discount when your use the discount code HEAG. Check out what’s new and recent on JHUP’s political science list! For almost a decade, Freedom House’s annual survey has highlighted a decline in democracy in most regions of the globe. While some analysts draw upon this evidence to argue that the world has entered a “democratic recession,” others dispute that interpretation, emphasizing instead democracy’s success in maintaining the huge gains it made during the last quarter of the twentieth century. Discussion of this question has moved beyond disputes about how many countries should be classified as democratic to embrace a host of wider concerns about the health of democracy: the poor economic and political performance of advanced democracies, the new self-confidence and assertiveness of a number of leading authoritarian countries, and a geopolitical weakening of democracies relative to these resurgent authoritarians. In Democracy in Decline?, eight of the world’s leading public intellectuals and scholars of democracy—Francis Fukuyama, Robert Kagan, Philippe C. Schmitter, Steven Levitsky, Lucan Way, Thomas Carothers, and editors Larry Diamond and Marc F. Plattner—explore these concerns and offer competing viewpoints about the state of democracy today. This short collection of essays is essential reading for anyone wanting to understand the latest thinking on one of the most critical questions of our era. Join us at booth #500 on September 3 at 3:45 p.m. to toast the publication of Democracy in Decline? at a special APSA reception. National leaders who played key roles in transitions to democratic governance reveal how these were accomplished in Brazil, Chile, Ghana, Indonesia, Mexico, the Philippines, Poland, South Africa, and Spain. Commissioned by the International Institute for Democracy and Electoral Assistance (International IDEA), these interviews shed fascinating light on how repressive regimes were ended and democracy took hold. 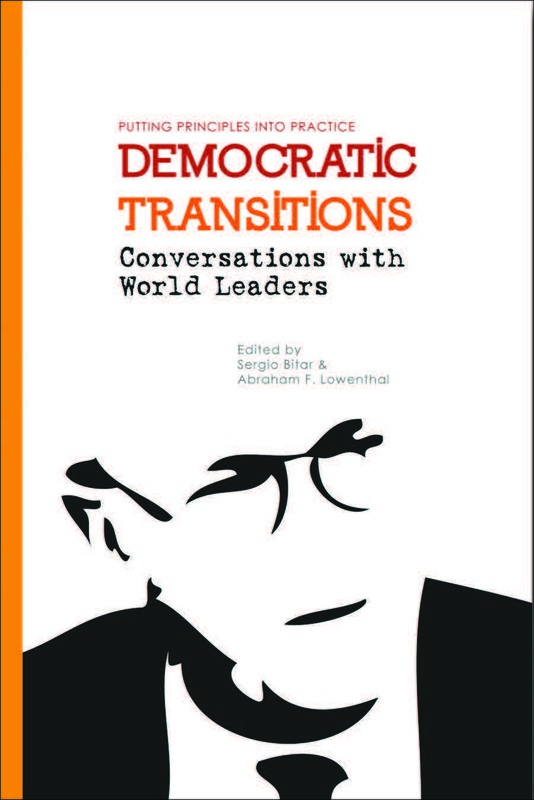 In probing conversations with Fernando Henrique Cardoso, Patricio Aylwin, Ricardo Lagos, John Kufuor, Jerry Rawlings, B. J. Habibie, Ernesto Zedillo, Fidel V. Ramos, Aleksander Kwaśniewski, Tadeusz Mazowiecki, F. W. de Klerk, Thabo Mbeki, and Felipe González, editors Sergio Bitar and Abraham F. Lowenthal focused on each leader’s principal challenges and goals as well as their strategies to end authoritarian rule and construct democratic governance. Context-setting introductions by country experts highlight each nation’s unique experience as well as recurrent challenges all transitions faced. The growing gap between the most affluent Americans and the rest of society is changing the country into one defined—more than almost any other developed nation—by exceptional inequality of income, wealth, and opportunity. This book reveals that an infrastructure of inequality, both open and hidden, obstructs the great majority in pursuing happiness, living healthy lives, and exercising basic rights. A government dominated by finance, corporate interests, and the wealthy has undermined democracy, stunted social mobility, and changed the character of the nation. 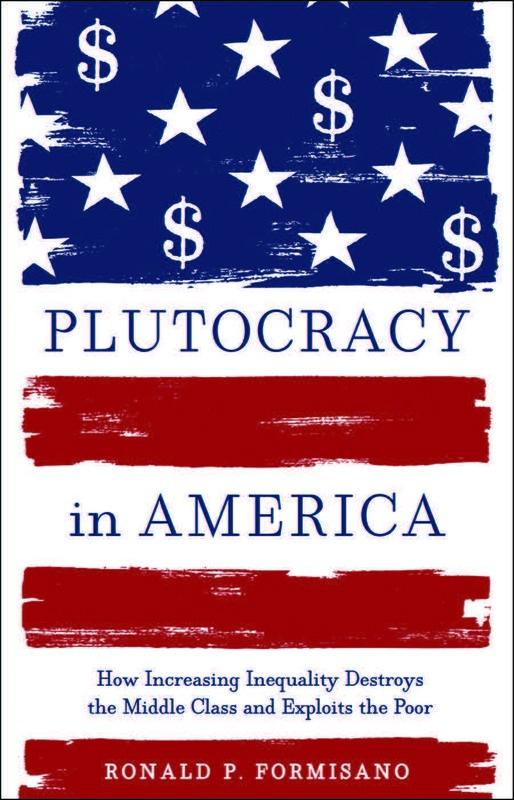 In this tough-minded dissection of the gulf between the super-rich and the working and middle classes, Ronald P. Formisano explores how the dramatic rise of income inequality over the past four decades has transformed America from a land of democratic promise into one of diminished opportunity.